Chocolate and peppermint. What a romantic pairing. And here it is again in yet another delectable form. Really, as long as it’s cold, I love peppermint. And my love of chocolate is neverending. This recipe is a re-share from my gluten-eating days. My husband and I made these based on this recipe over at 101 Cookbooks. I stumbled upon it while looking for a peppermint bark recipe (posted earlier this Peppermint Week) and thought, “Hey! Why not?” We made them. They were good. Here is the recipe we recommend to you–altered from the original. We followed the directions from the site linked above. 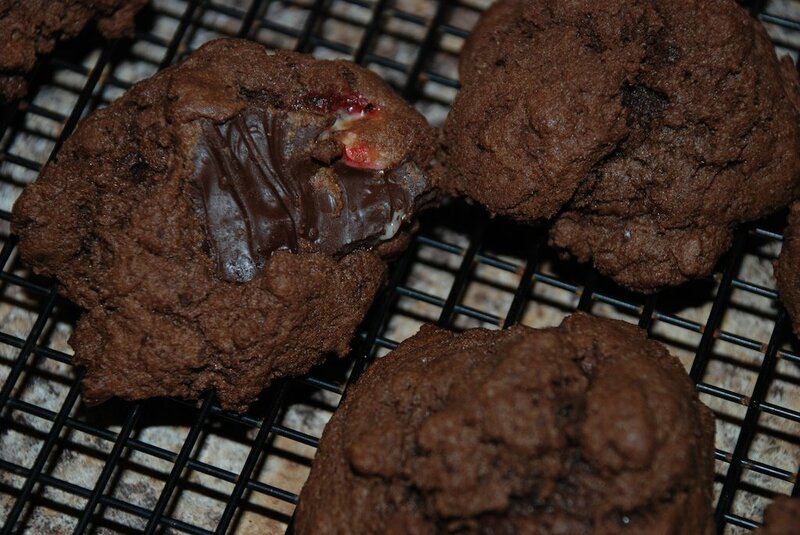 When we made these cookies, we used unbleached whole wheat flour. Don’t do that. The recipe above has been altered to instruct you not to do that. Unless you really like whole wheat flour. 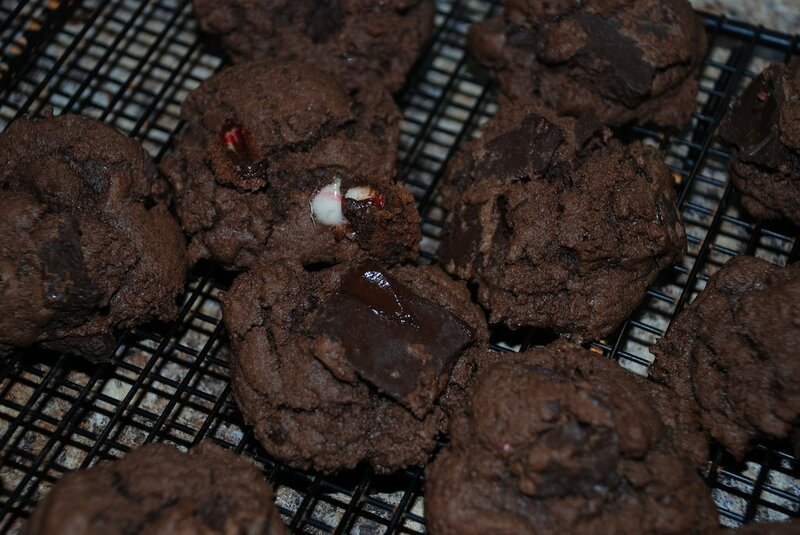 Then go for it but know that the cookies were on the dry side and tasted a bit like peppermint bark lodged in a wheat cracker. With that said, I like wheat flour, and I liked these, but my husband refused to bring them to work saying he couldn’t afford that type of liability. Whatever. More for me.